Raynay Alpaca Farm, LLC is a farm located in Ruffin , North Carolina owned by Candy & Ray McMahan. Congratulations to Leslie Rebtoy of Healing Springs Suris in Oklahoma for her purchase of Tashina's Rose by Maxamus at the 2019 Futurity Sale. She is a beautiful Medium Rose Grey girl with amazing fleece at just 10.5 months. I know she will be a great addition to your impressive herd. 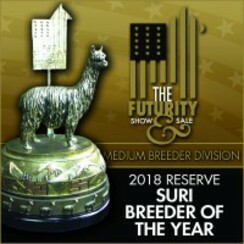 Also at Futurity, Reflection of Fyre (Baby) was awarded the Color Championship in the Light Female class!! She is also going to another great farm next week. She was my bottle baby and I am really going to have a hard time parting with her. 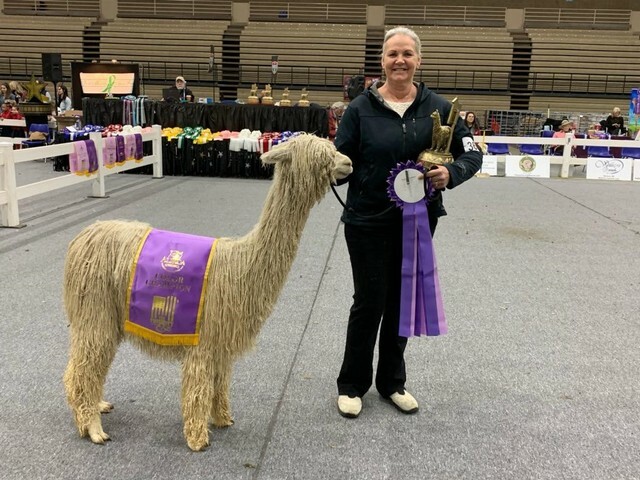 Congratulations to Albert and Becky Camma with The Alpacas of Spring Acres!! Raynay Alpaca Farm 2018 Reserve Suri Breeder of the Year!!! ELECTROFYRE!! 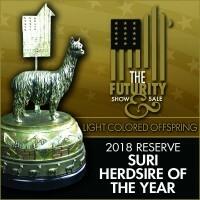 2018 Reserve Suri Herdsire of the Year Light Colored Offspring!! Lot 13 THE ROSE SOLD!! Congrats Healing Springs Suris!! BABY won CC Futurity!! Congrats to new owners The Alpacas of Spring Acres!! In November 2007, we found and purchased 100 acres with a quaint farmhouse in Caswell County, NC, and decided to make that our home. Alpaca farming became a reality for us in February of 2008 when we made our first alpaca purchase. Since then, our herd has grown through the purchase of new alpacas and the birth of our own new crias. 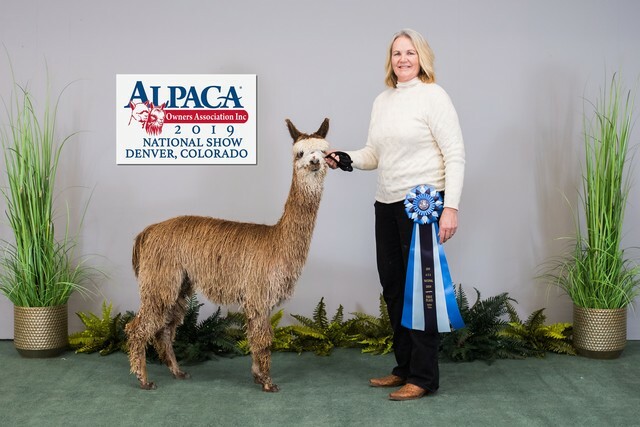 We are now fully involved in the national show-circuit and have met some wonderful alpaca ranchers from all over the United States, not to mention that our show-string alpacas have been very successful in the ring. We have recently constructed a new 40 x 60 barn and enclosed another 10 acres of pasture. Our pastures are constructed of no climb fencing to ward off predators plus we employ the services of our 7 of Great Pyrenees LGD. We have a farm store onsite, open by appointment, filled with alpaca yarn and wearables. Our farm has several fruit trees, blackberry vines and grape vines allowing us to process and sale fresh homemade jams and jellies. We have 3 beehives that provide wonderful honey as well as pollinating our fruit trees along with 24 "pasture" chickens that entertain us as well as producing incredible tasting eggs. If this is the life you are dreaming about contact us and we can help make your dream a reality!! Contact us today, we love talking alpacas. Be assured in dealing with Raynay Alpaca Farm, we pride ourselves in A-1 customer service and most of all honesty.